On May 11 Tent City 3 returned to Shoreline and has taken up residence at Shoreline Free Methodist Church, 510 NE 175th Street, across from the Shoreline Library. 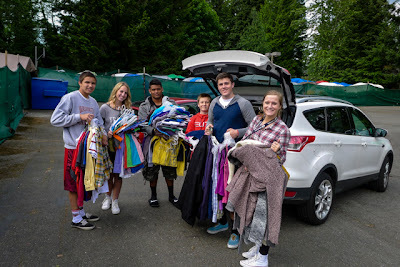 Since Richmond Beach was promoting their annual community garage sale on Saturday, May 18, I thought it would be a good day to search for things TC3 might need. My dreams were met in abundance by two garage sale families who graciously donated all the adult clothing they did not sell today. I say, in abundance, since it took two SUV's and my Prius to deliver all the items this evening. I find it a real thrill to ask garage sale people to make a donation and of course many do. But it is equally exciting to deliver it to Tent City and see and hear the appreciation of those who really need it. What also made this evening special was that an extended family honoring the death of one of their members was providing the Saturday evening hot meal for the camp. 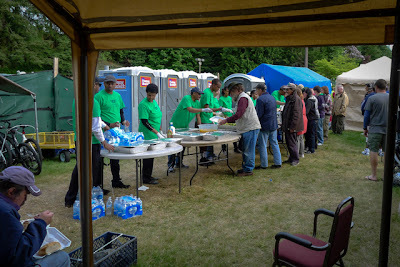 The meal was "In Memory of Bitewlgn Debalkew" and his Ethiopian family served the meal as well, dressed in bright green T-shirts with art work and text commemorating the occasion. Finding items to donate is easy and fun. 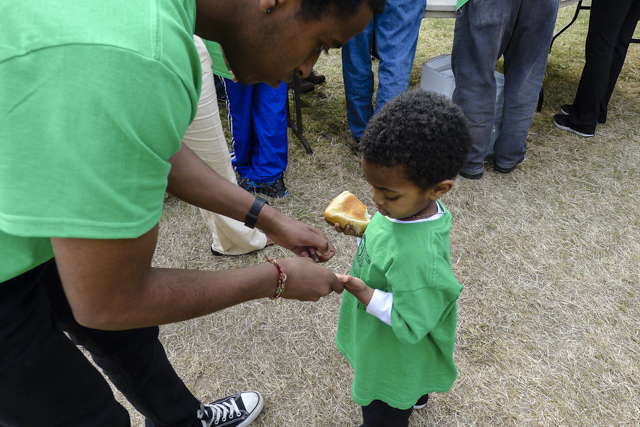 Providing a meal takes more effort, but the rewards are many. What is required is 'action', and Shoreline is good at that. Our city contributes generously. Although most of our lives are different from those who find themselves homeless, everyone's basic needs are the same -- food, clothing and shelter. 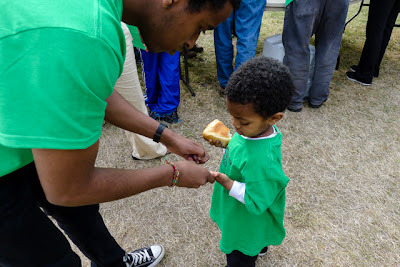 Check here to find out what's happening at Tent City 3 and what is on their "Want List." More of Marc's photography here.